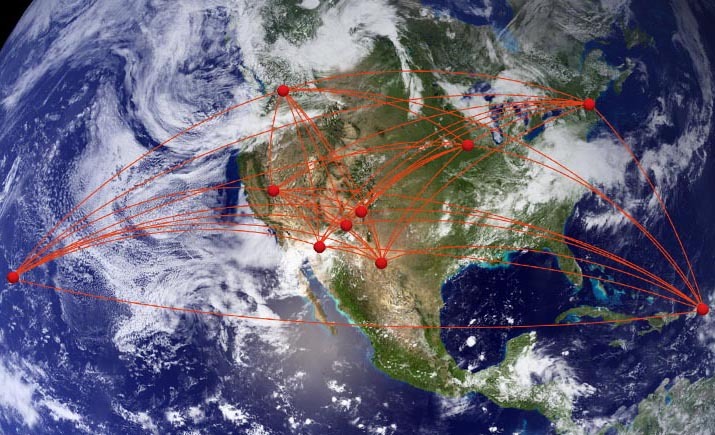 The National Science Foundation (NSF) has provided $2 million to repair damage to the Very Long Baseline ArrayVery Long Baseline Array (VLBA)An array of 10, 25 meter radio telescopes that stretches 8000km (5,000 miles) across North America. (VLBA) station on St. Croix in the U.S. Virgin Islands caused by Hurricane Maria in September of 2017. The funding is part of a bill passed by Congress and signed by the President on Feb. 9. The appropriations bill included disaster relief for hurricanes and wildfires during 2017. 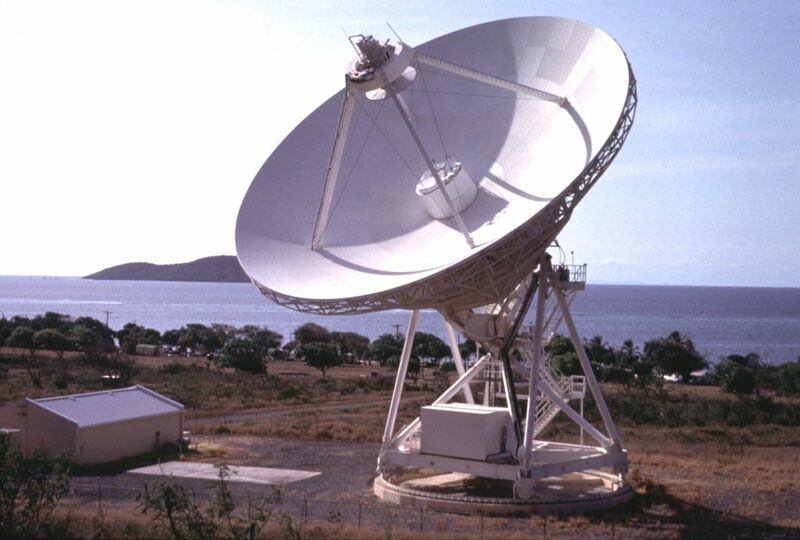 The VLBA is a continent-wide radio telescope system providing the highest resolution, or ability to see fine detail, of any astronomical facility. It consists of ten stations, each with a dish antenna 25 meters in diameter, stretching from Hawaii to St. Croix. Eight of the stations are on the U.S. mainland. The great distance between the VLBA’s antennas, up to 5,000 miles, is what makes possible the system’s great resolving power. Radio waves from cosmic objects are collected individually by each of the antennas, then combined electronically to make the system work as a single, giant radio telescope. Hurricane Maria formed in the western Atlantic ocean, then entered the Caribbean Sea, devastating the island of Dominica before striking Puerto Rico and skirting the U.S. East Coast, in addition to its destruction on St. Croix. The storm is blamed for at least 146 deaths and more than $90 billion in damage. Maria struck St. Croix as a Category 5 storm, with recorded wind gusts up to 137 mph. Officials estimated that 90 percent of the buildings on St. Croix were damaged or destroyed. 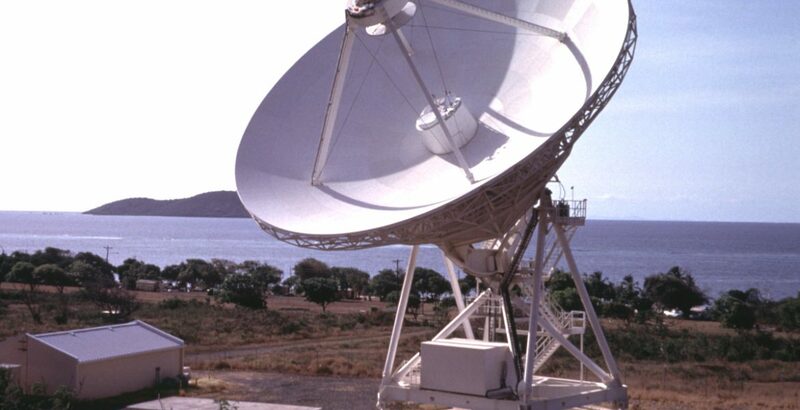 The St. Croix VLBA station sustained damage to both its 240-ton antenna and the building housing its electronic equipment. “This funding will allow us to bring the important St. Croix station back to a state of full health so it can continue to support the forefront scientific work of the VLBA,” said Walter Brisken, Director of the Long Baseline Observatory. Dedicated in 1993, the VLBA has made major contributions to many areas of astronomical research, ranging from studying galaxies as they were when the Universe was a fraction of its current age to observing asteroids in our Solar System. 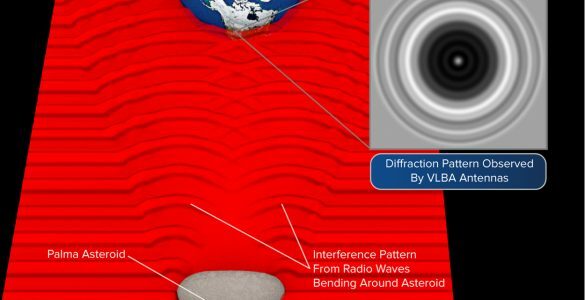 The VLBA’s sharp radio “vision” has allowed it to precisely measure distances in our Milky Way and refine our home Galaxy’s map, and to make the most accurate distance measurements ever for objects beyond the Milky Way. The VLBA also can be used to precisely determine the locations of its stations, allowing geophysicists to measure the effects of continental drift and climate change. The Very Long Baseline Array (VLBA) station on St. Croix, in the U.S. Virgin Islands, in a photo made prior to Hurricane Maria. Funding from the National Science Foundation will be used to repair damage caused by that hurricane in 2017. 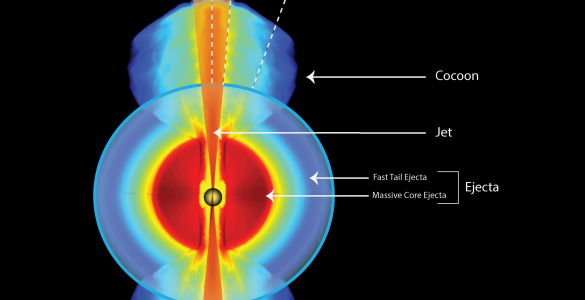 The sharp radio “vision” of the VLBA gives astronomers a detailed look at a galaxy as it appeared when the Universe was a small fraction of its current age, giving clues about conditions at that early time. 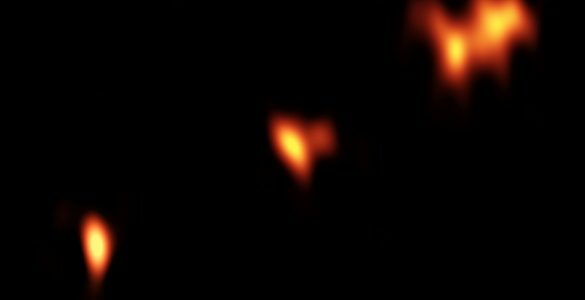 Using data from ALMA, a team of astronomers studied the growth and evolution of bubbles of hot plasma produced by active quasar HE 0515-4414. The bubble was analyzed by observing its effect on light from the cosmic microwave background. It is the first time this method was used to study quasar dynamics. An important milestone was reached with the publication of the 1000th peer-reviewed paper using ALMA data.